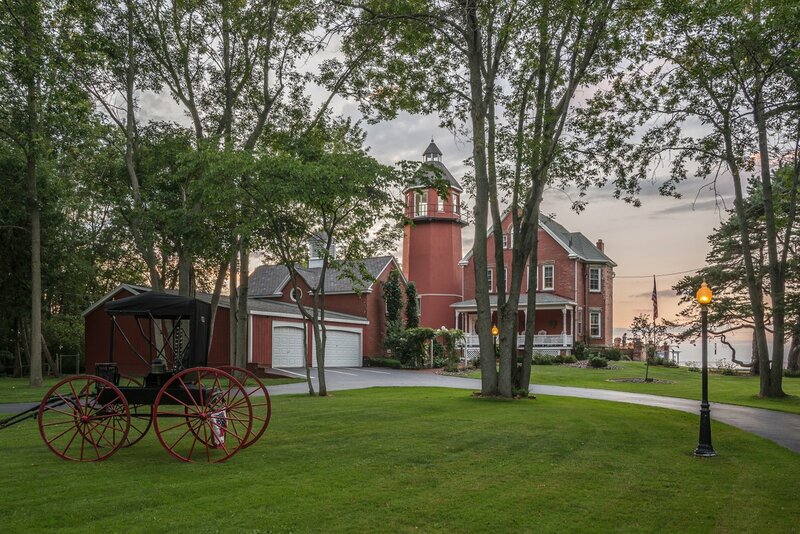 New York City has its own Little Red Lighthouse, but it’s definitely not a place you could live in. 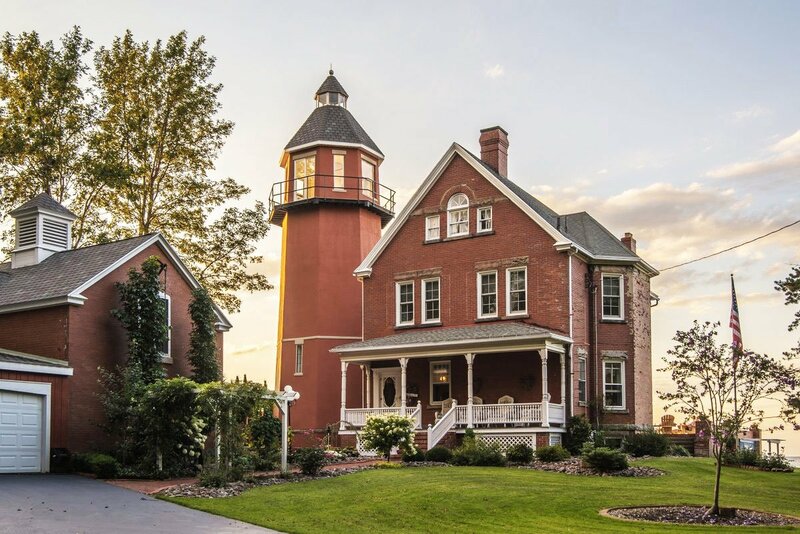 You’d have to go way upstate for that — this historic red lighthouse, perched on the shores of Lake Ontario in Hilton, New York, is now on the market for $1.5 million. 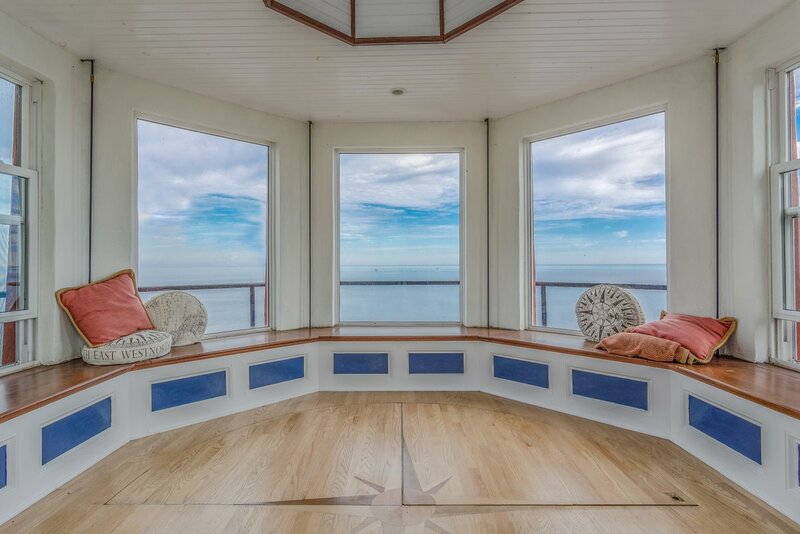 (Surprisingly, it’s not the only lighthouse property that’s been offered as living quarters!) 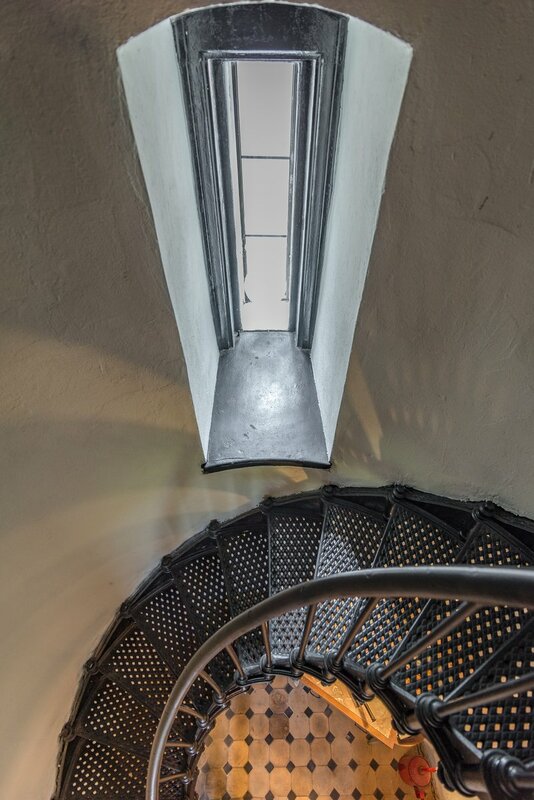 Known as the Braddock Point Lighthouse, it was built in 1896 and fell into disrepair in the 1950s. 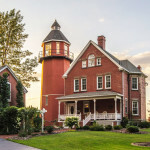 A buyer eventually restored the building to its original Victorian glory and the lighthouse has since been occupied by only three families. 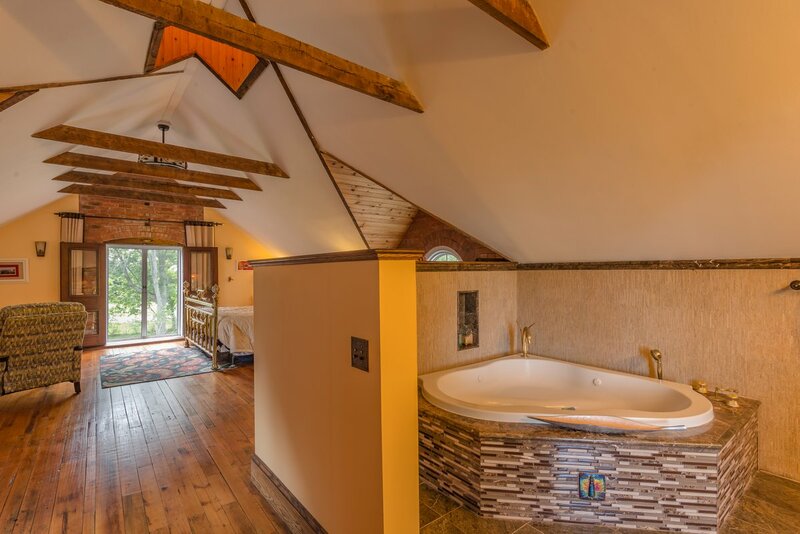 You might be tempted to be the next. 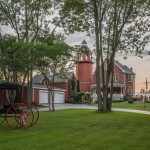 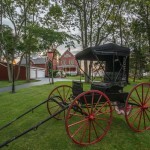 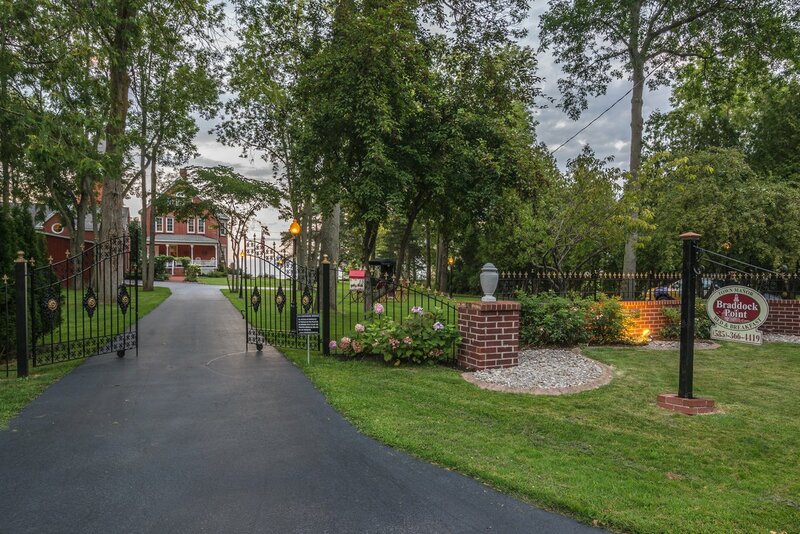 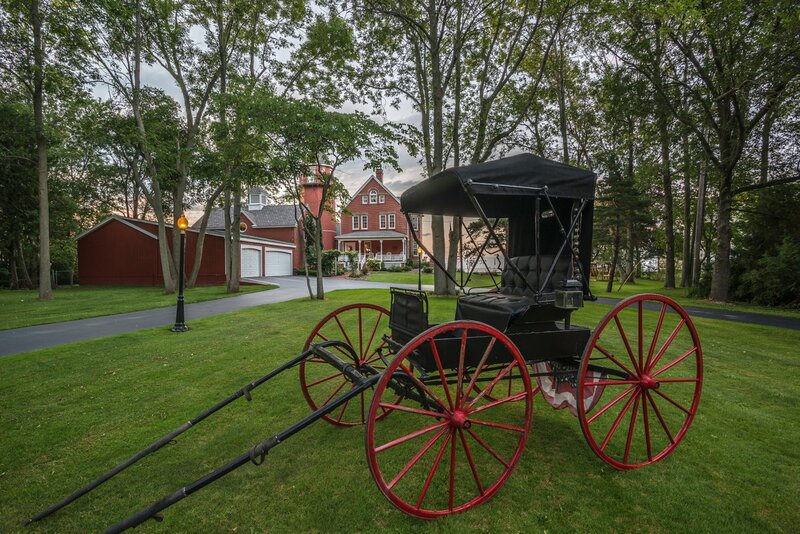 Past a gated entry, you’re inside an idyllic lakefront property, with the lighthouse, a carriage home, even a historic old buggy on display. 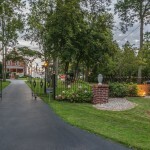 The grounds cover 148 feet of waterfront along Lake Ontario. 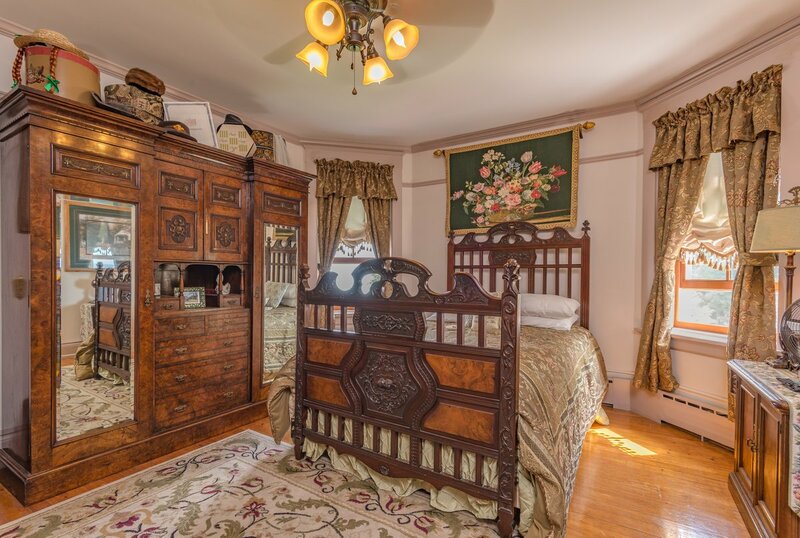 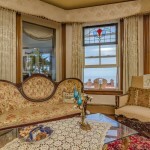 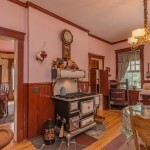 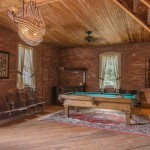 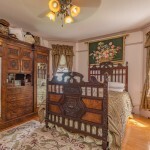 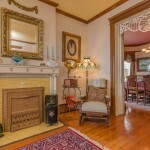 The interior was restored with Victorian furnishings, which makes it feel like you’ve stepped back in time once inside. 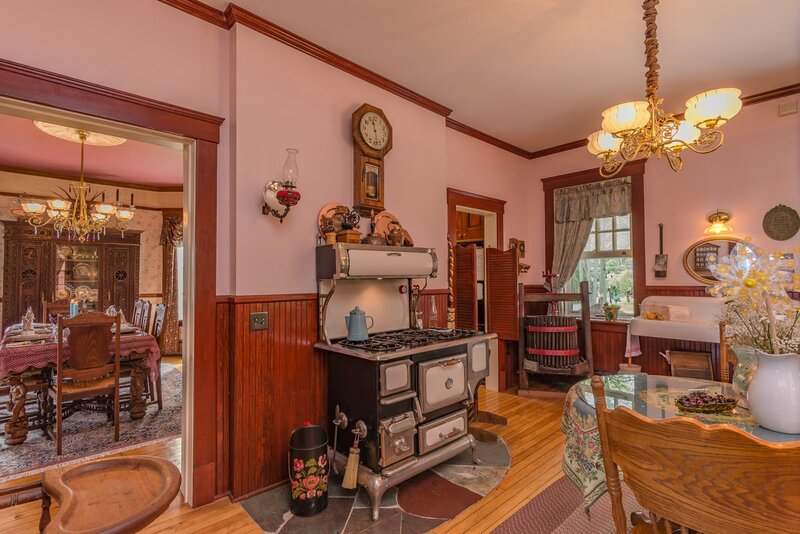 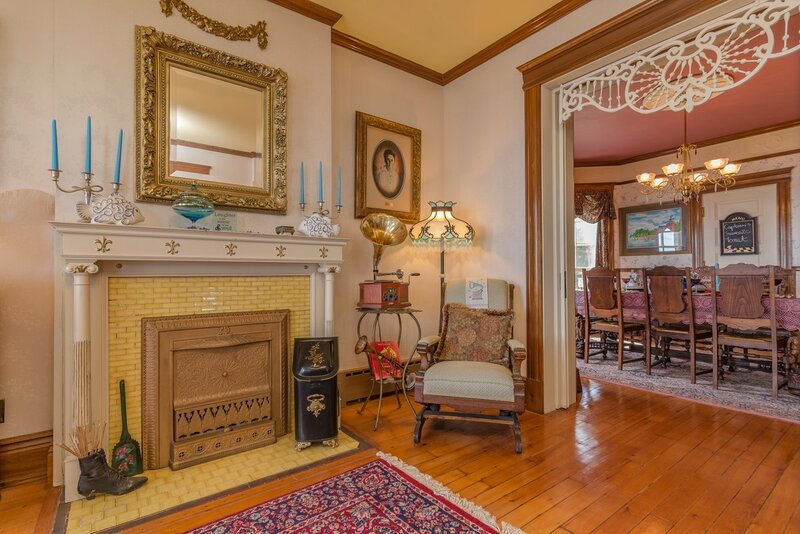 And some interior details look original, like the elaborate mantlepiece in the living room, the wooden fretwork and the wood floors. 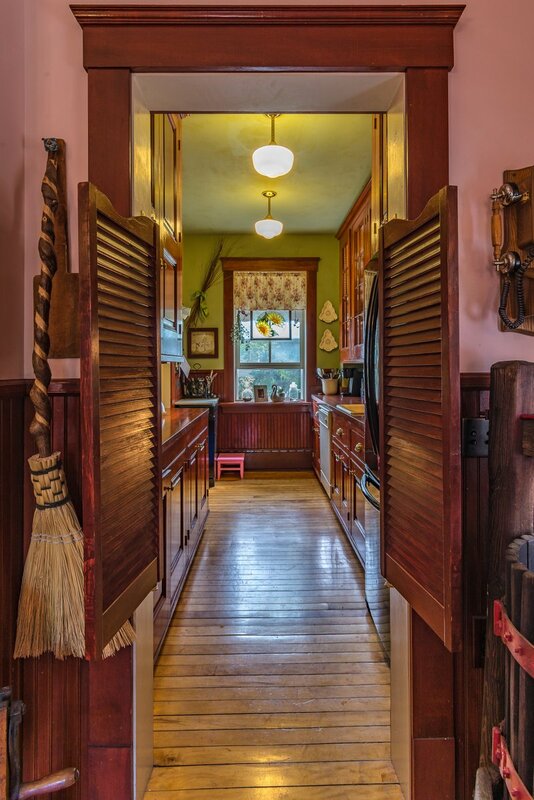 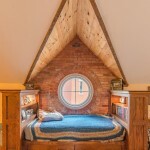 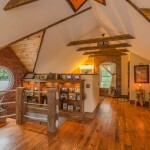 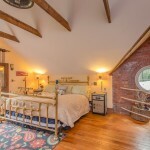 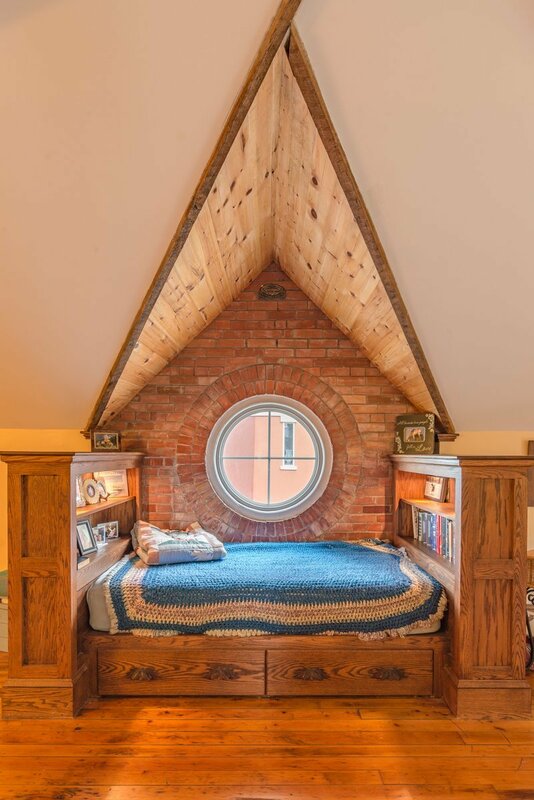 The carriage house has a different look, with beamed ceilings and tons of wood details. 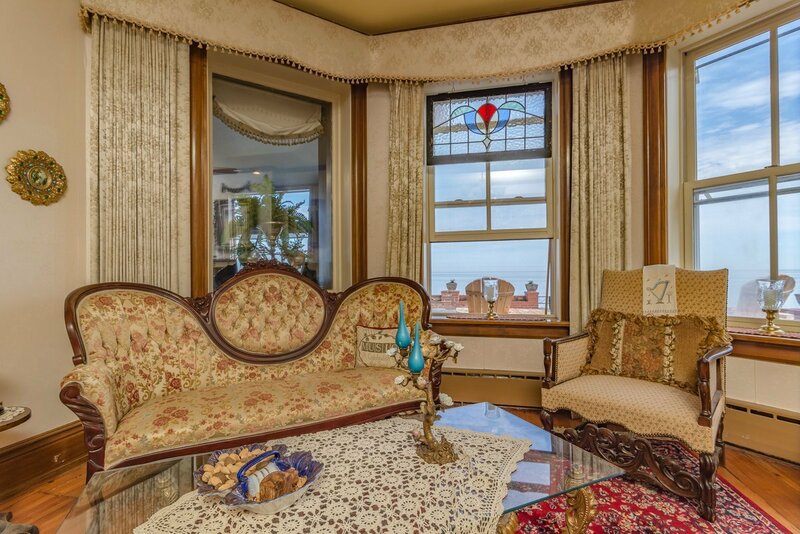 We love the ship chandelier, which perfectly fits with the nautical details throughout the property. 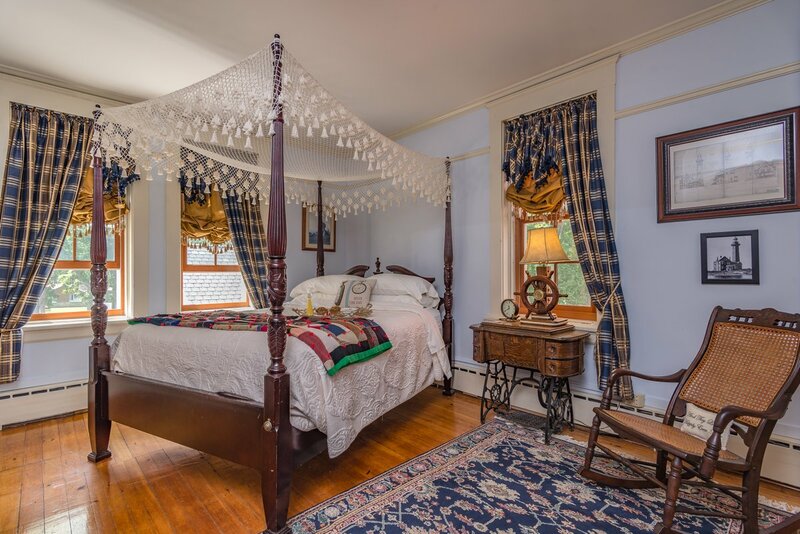 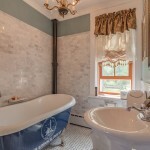 Back at the lighthouse, bedrooms and their bathrooms are located on the second floor. 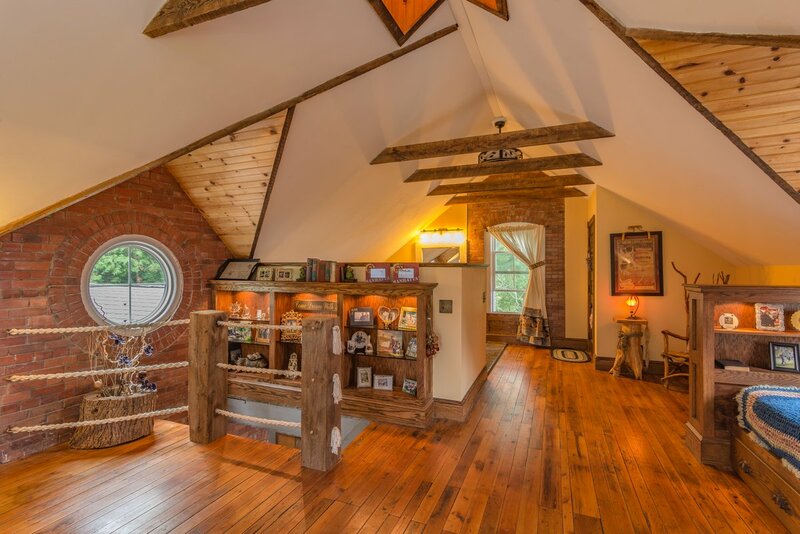 Talk about decked out interiors! 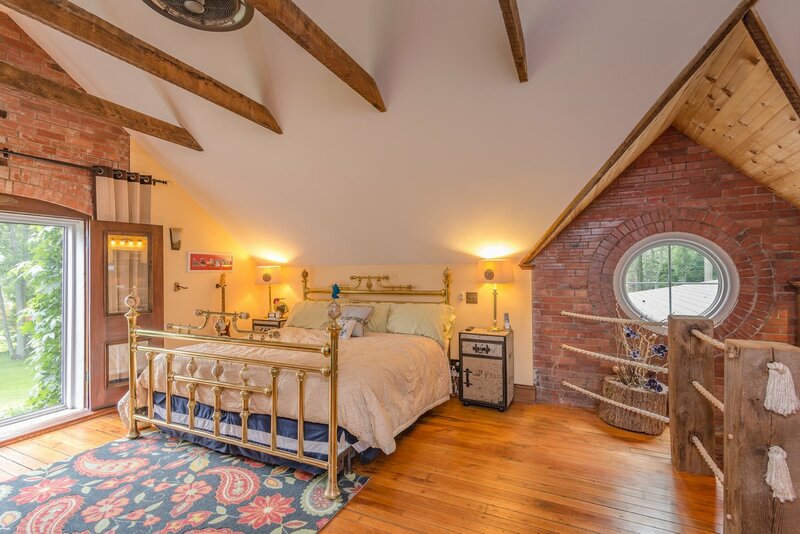 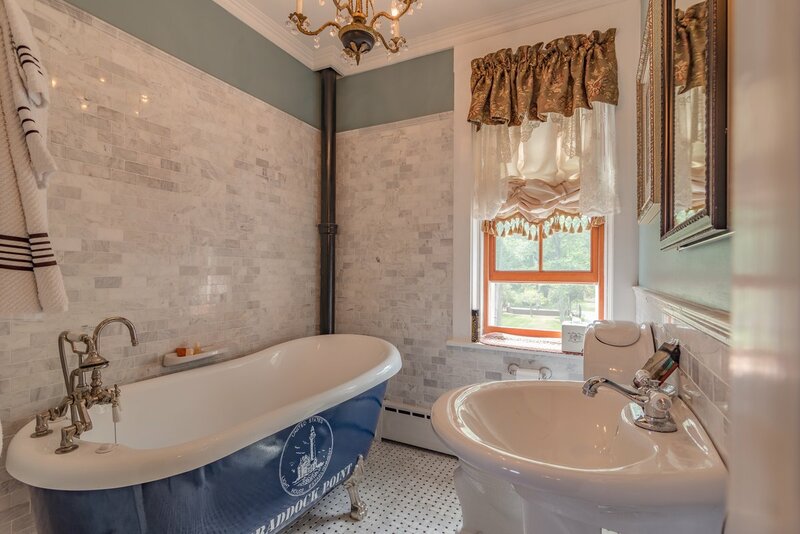 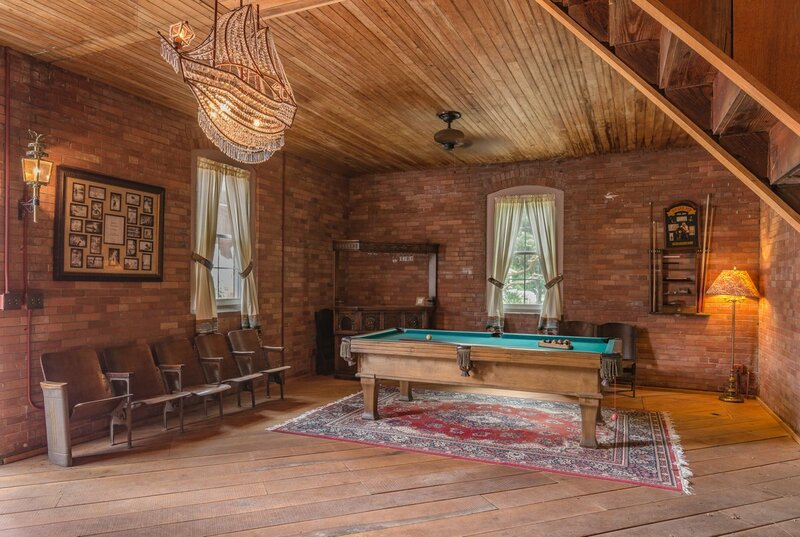 Our absolute favorite thing about this property? 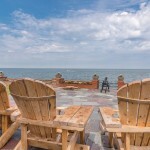 There are plenty of places to sit back and enjoy the beauty around you. 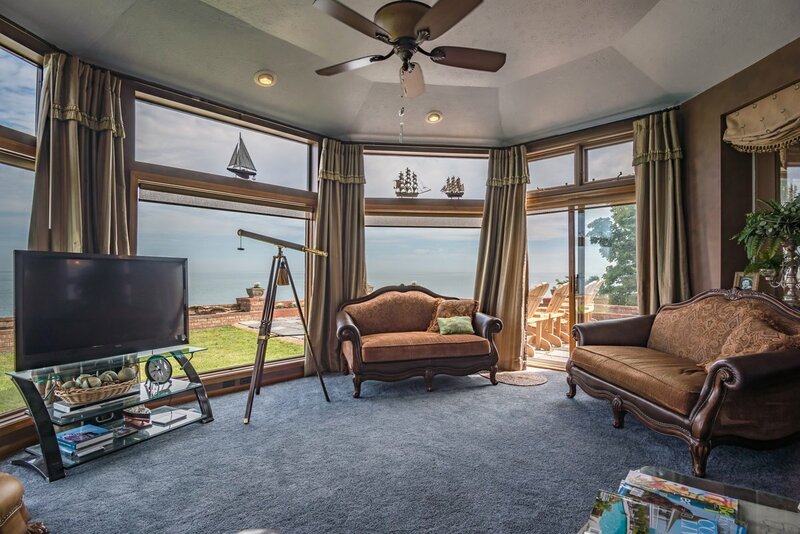 While the home has its own casual sunroom, you’ve got an even better option for views. 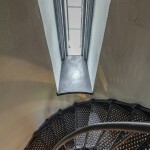 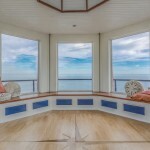 Inside the lighthouse tower, climb the spiral staircase to a sitting area and deck from the very top. 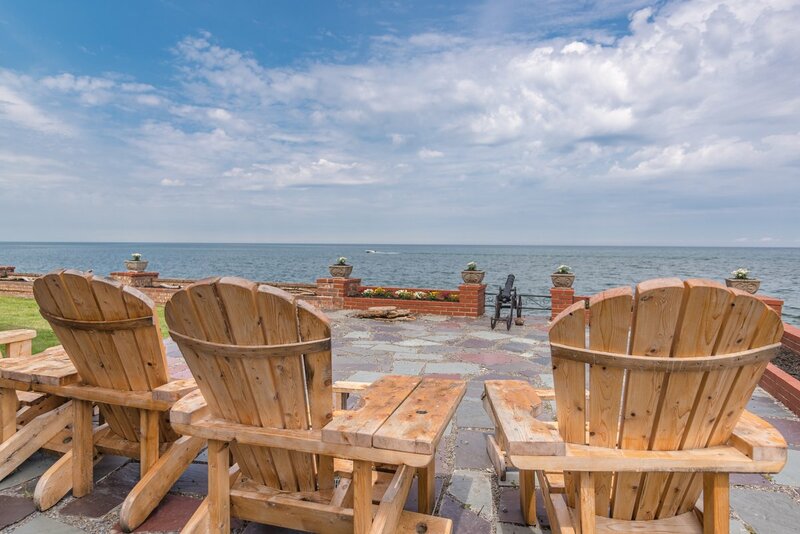 Waterfront living just does not get any better than that.